Diamond in the rough? Why camp outside? 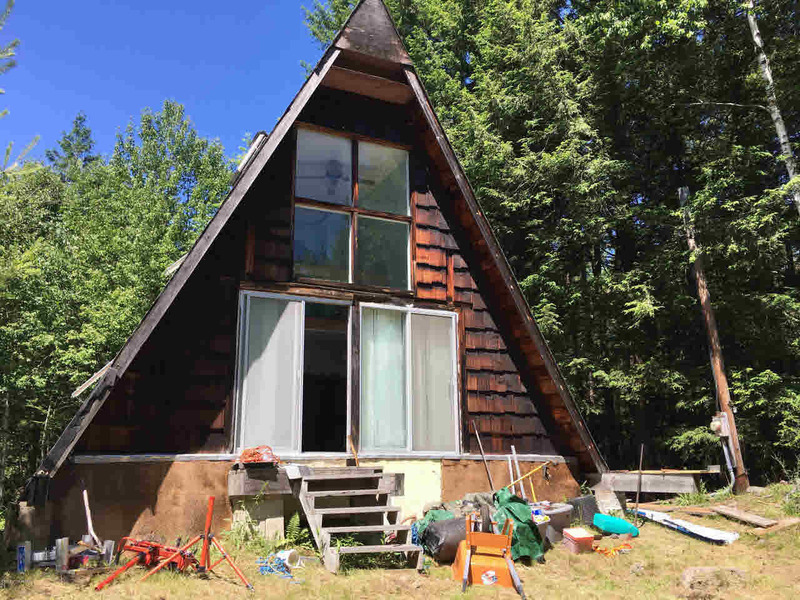 Rehab this 2-bedroom A-frame for a 3-season getaway. Private treed back yard for sitting around the campfire yet just 5 minutes to town to dine in a 5-star restaurant. It's been stripped to the walls. Some flooring, skylights and decking. No kitchen or bath. Needs well and septic.